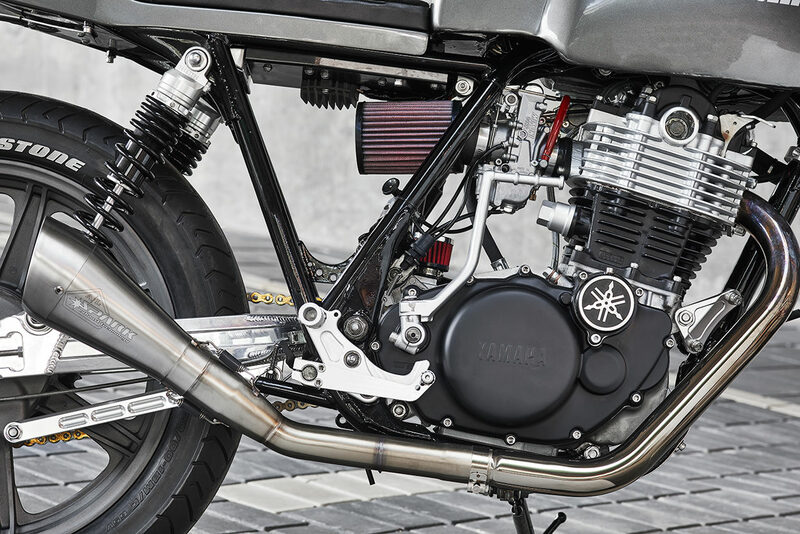 The Yamaha SR series is more than well known in the custom motorcycle scene. It’s an icon, a legend, the perfect building block for the perfect custom bike. 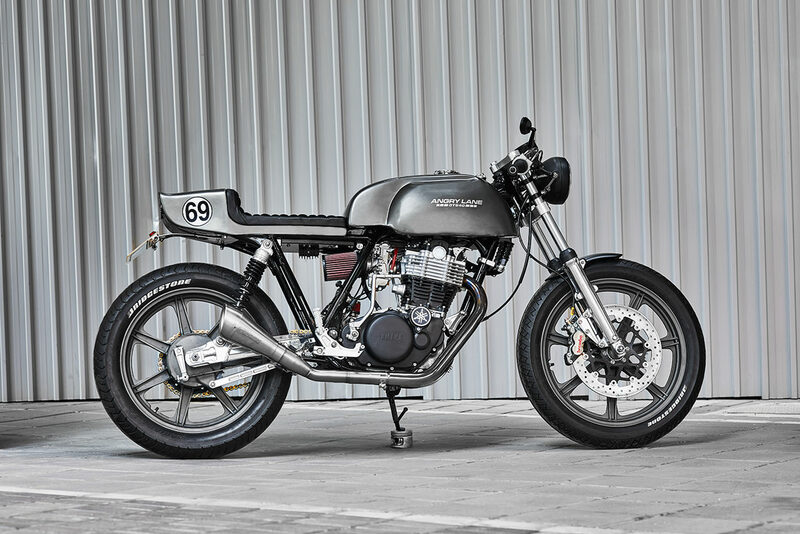 Angry Lane has once again proven this fact with their latest SR500 build. 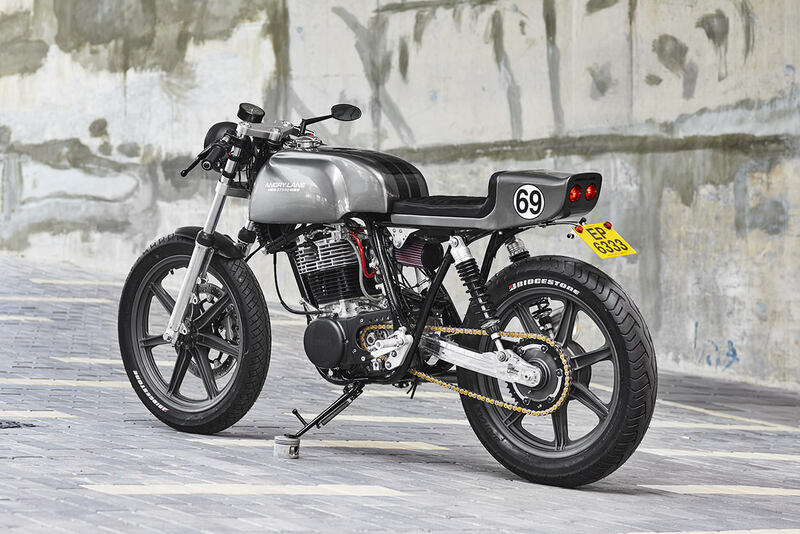 While the SR series has been extremely elusive to us here in the states, the Asian market has been chalk full of the little single cylinders since the late 70’s. Their nimble size and reliable power plant have made them well suited to the riding conditions over seas. They also make a fine custom thanks to their bare bones engineering. So it only seems fitting for this to be a custom bike straight out of China. Now before we jump into the bike, we should first talk about who built it. Angry Lane was started by G and Ben Barras, brothers of Persian descent. While they have Persian heritage they were born and raised in France, adding to an already deep connection to culture. Now, they thrive off of the rapid pace found in Hong Kong, something that translates into their bare bones style. While their custom motorcycles steal the show, they originally made their name with their high-end apparel and leather goods. So, Hong Kong via France. What a journey. But it hasn’t stopped there. If anything it’s just now getting going. 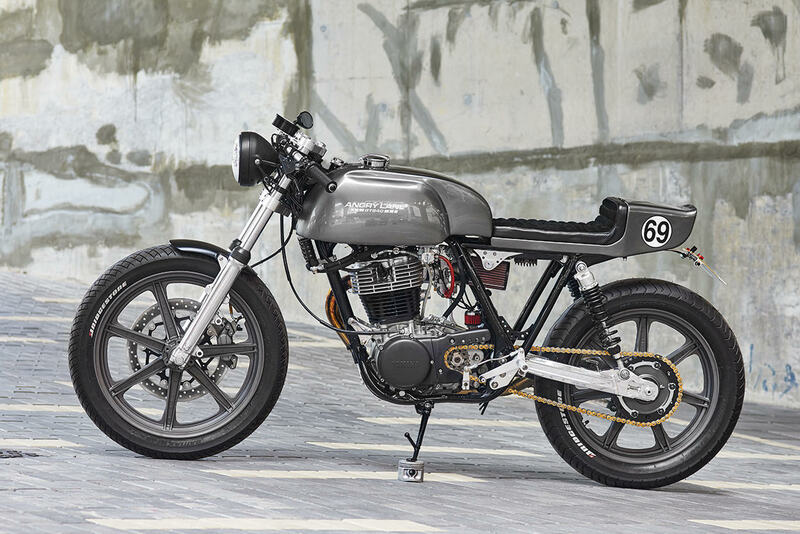 Their newest build, the SR500 Cafe Racer is an exquisite example of just that. 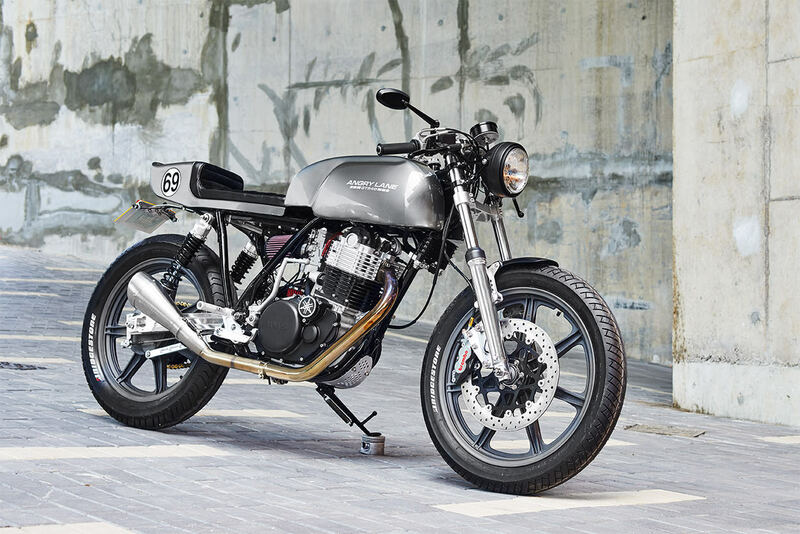 Angry Lane prefers the minimalist approach over all else, stripping the little SR to its core. The frame has been media blasted and repainted. From there they added a nice burly tank from Omega Racer and a custom aluminum tail section, inspired by the great GT40 race car. Unlike most shops, Ben took the upholstered seat upon himself, calling on all his years of experience tailoring leather clothing. With the styling dialed Ben and G focused their energy on performance. While the SR is never going to win against a modern machine, it is a fun bike due to its punchy power delivery and its relatively slim waist. With the bodywork being slimmed down, it only makes sense to up the power. So single cylinder went under the knife, getting a slew of goodies in the process. The cylinder was punched out to fit a 90mm piston, bring the displacement up to 540cc. Then they had the compression bumped to a nice 10:1 ratio, a welcome combo to the hotter cam and light weight valves. A Mikuni TM40 carb and K&N filter complement the Spark Exhaust to finish off the SR’s ability to move air. Angry Lane wants every bike they build to be ridden as much as possible, so they fitted the SR with a new high-flow oil pump and some racing lines to make sure all these mods stay in check. Now that the SR has more power, it needed an update in the suspension department to keep things on an even keel. Angry Lane kept things simple, throwing in new springs and oil up front to improve the stock forks. Then they elected for newer YSS shocks out back to even things out. Yet the biggest change comes in the form of cast wheels. These are an eBay score from that elusive American model, only made for 3 years in very small batches. Once the wheels were re-coated Ben found it fitting to custom fabricate a mount for a single Brembo caliper to improve braking performance. 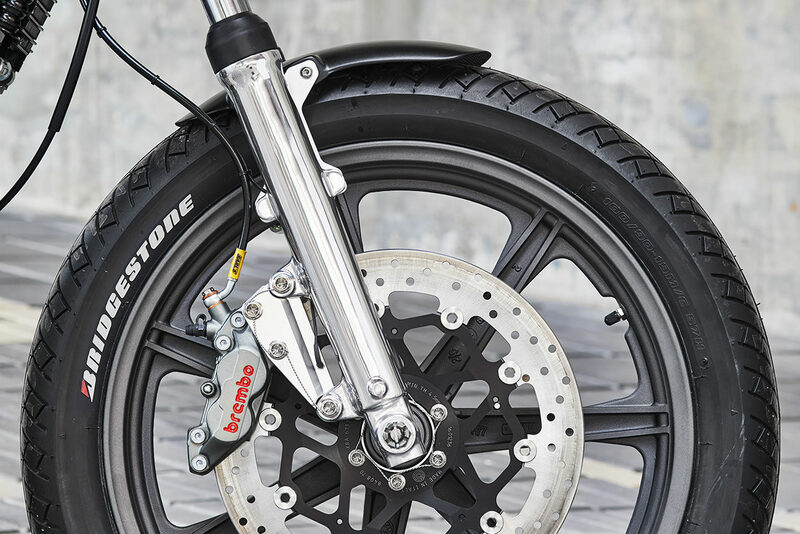 They finished it off with some Bridgestone Battleax BT45’s, which complement both the aesthetics and performance of this bike. 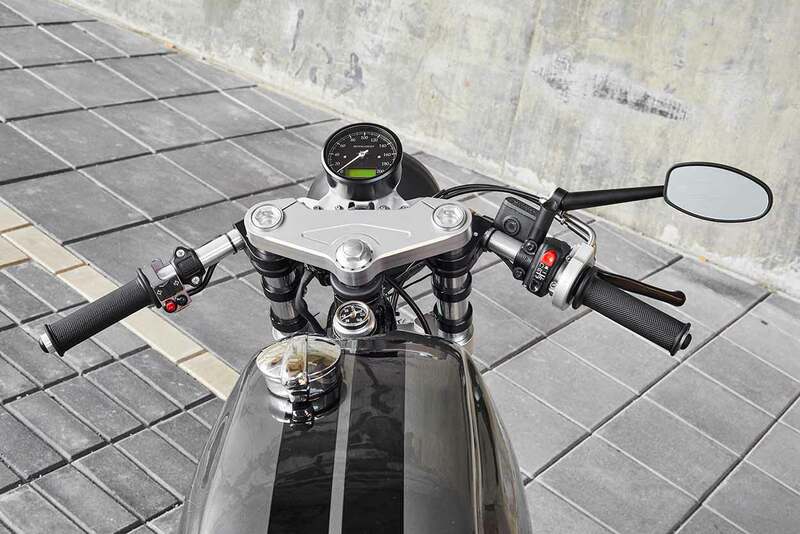 From the rider’s perspective, you get a pair of LSL clip-ons for a better riding position, as well as a massive single speedometer. All of the controls are nice and tidy, reminding you to only focus on what matters, the ride. While there are many bikes we don’t get here in the states, the SR is easily on the short list for one we desperately need in droves. 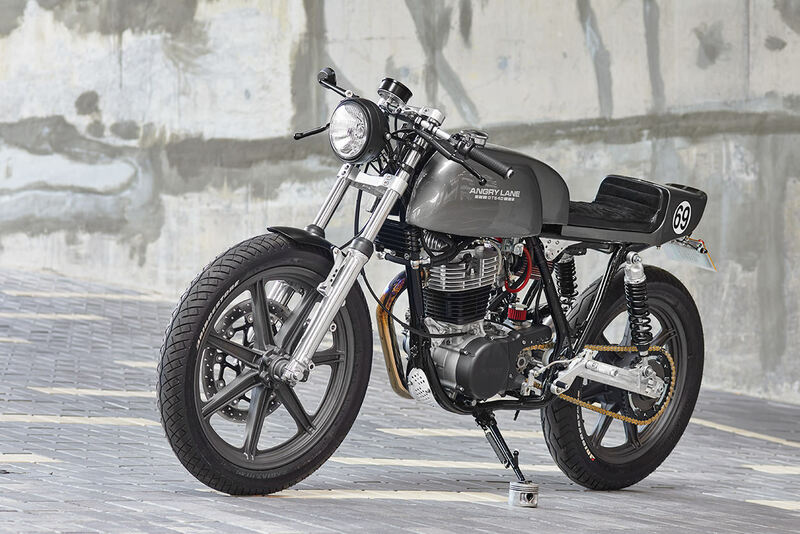 Either way, we should just be thankful that we can find shops around the world like Angry Lane that can build such an amazing Cafe Racer from the mighty SR.